It sounds simple enough, and seems logical, that space optimisation should be easy. 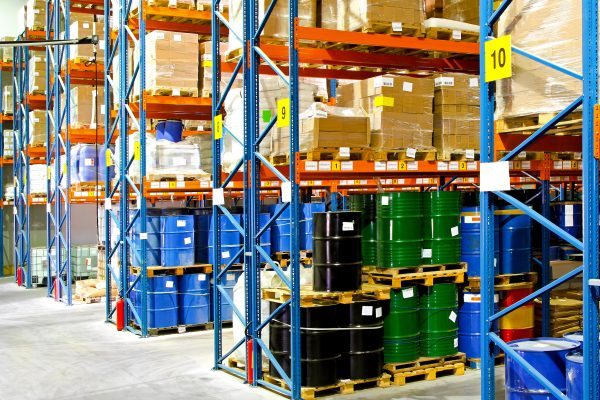 However, a very high percentage of warehousing operations are utilising their space ineffectively leading to higher storage costs than necessary. Your Agile Workspace Diagnostic will explore your current operation, identify any areas where efficiencies can be made and show you how to maximise your storage options. What can I gain through Space Optimisation? Capitalising on your space is something that every business needs to do. Because every additional square foot equals additional cost to your business, increasing storage efficiencies is perhaps the most important process to undertake. Our expert consultants will start by finding out all about how you currently operate your storage. That way, we can quickly spot process improvements that will bring benefits, and make sure that what we suggest will work with any constraints or allowances that you may have to cater for. Our 25 years of experience has shown us that what works for one never works for all, yet this same experience has taught us where the most basic gains can be made. Designing more efficient storage layouts is only the tip of the iceberg; Our knowledge of storage methods and possibilities mean that we are fully equipped to provide you with everything you need. We are Project Managers Who Remove the Burden From you. With Agile Workspace Solutions, there’s no disruption to your business or staff; we will Project Manage the whole Supply and Installation process from start to finish. Liaising closely with a contact of your choice, we are fully able to work around any requirements that you may have, whether it’s completion in one day, between certain hours or over a weekend. This is so you can focus on running your business and getting the sales, while we work help you process them faster than you did before. Unsure how to increase your space efficiencies? Or do you have some ideas but not sure how to implement them? Contact our specialists Kieran and Graham to arrange a Space Optimisation Survey. We want to help you achieve more.